This is a story of love at first sight. From the moment Joey DeFrancesco first laid eyes on the Hammond B3 organ, he had hearts in his pupils. A Philadelphia native raised in a musical family that included his father, Oklahoma Jazz Hall of Famer John DeFrancesco, Joey remembers those days as a toddler vividly. A year or two later, Joey was joining his father at gigs. Now at the age of 46, Francesco has 30 albums under his belt and is widely recognized as one of the world’s pre-eminent masters of the B3 organ. He has of course, picked up other skills – and loves – along the way. Miles Davis handpicked DeFrancesco to share the stage with him when DeFrancesco was only 17, among the youngest musicians to ever perform with the late, great bandleader. DeFrancesco’s latest release, “Project Freedom,” is exemplary of said growth. Featuring soulful covers such as John Lennon’s “Imagine” and Sam Cooke’s “A Change is Gonna Come,” it’s the record’s jazzy original tracks that truly propel the upbeat theme of togetherness. In addition to playing the B3 organ and keyboards throughout the record, DeFrancesco’s trumpet-playing prowess is featured on the song, “One,” and frequently on stage, when every one of his limbs is deftly keeping its own rhythm. Even as all of his digits are tirelessly engaged on the organ and/or trumpet and keyboard, DeFrancesco’s head is on a swivel as he performs, most often smiling and laughing with his band mates, drummer Jason Brown, guitarist Dan Wilson and tenor saxophone player Troy Roberts. 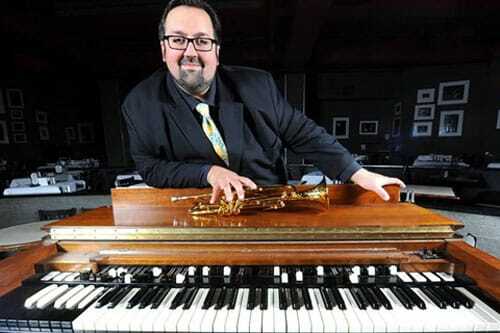 Don’t miss two-time Grammy nominee and B3 master Joey DeFrancesco and The People at 6 p.m. Aug. 24 in Vail Square. General admission tickets are $25, preferred seats $40 and premium seats $50. Presented by The Jazz Cruise and Blue Note at Sea, Vail Jazz @ Vail Square takes place every Thursday evening through Aug. 24 in the all-weather Jazz Tent in The Arrabelle courtyard in Lionshead. Drinks are available for purchase. Most of us associate a pipe organ with church, but well before the Ninth Century when pipe organs were first used in Western liturgical music, they were played while gladiators battled in the arenas of the Roman Empire. By the Middle Ages, large pipe organs were installed in important cathedrals in the West, but due to their size, complexity and cost it was centuries before they were commonly found in churches and even later in theaters and concert halls. That all changed in 1935, when the Hammond electric organ was invented by Laurens Hammond as a low-cost alternative to the wind-driven pipe organ. Initially Hammond’s company sold organs to churches and his Model A soon could also be heard at skating rinks, movie theaters, baseball parks and on the radio as the soundtrack for soap operas. Extremely popular in black churches in the South, it quickly became a mainstay of black gospel music. 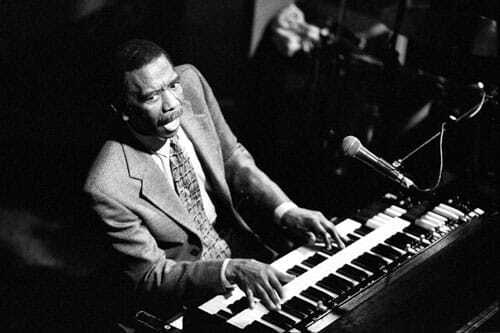 Over time, the Hammond organ became a staple in jazz, blues, soul, rock, reggae and even country. Although many different models of Hammond organs were produced, the B-3 model (only manufactured between 1955 and 1974) became the gold standard when an organ was called for. Today a “mint” condition B-3 sells for three to four times its original list price of $2,365 in 1955, which doesn’t sound like much now. But at the time, you could buy a new Chevy Bel Air for $2,200. B-3s are usually paired with a Leslie (named after its inventor, Don Leslie), which is an amplifier in a sound cabinet placed next to the organ. Ironically, Laurens Hammond opposed the combination, but it was jazz players that decided that using the Leslie was what gave the B-3 its distinctive whirling/swirling sound, known as the Doppler effect – the sound you hear as the source of a sound moves towards you and then passed you. The Leslie is able to create this unique effect by employing spinning treble horns and a stationary woofer with a spinning rotor. B-3s have two keyboards called manuals (the upper one, the “swell” and the lower one, the “great”), each containing 61 keys, 36 drawbars and each with eight separate stops. By pulling out combinations of drawbars, the tone emitted when a key is struck can be altered. What may have sounded like a flute with one setting would then sound like a marimba with another setting. A player therefore can create millions of sounds. Paul Shaffer of David Letterman fame succinctly said, “Within the drawbars of the B3 lies the secrets of the universe.” Many B-3 players agree and go to great lengths to conceal their drawbar settings. There are additional keys, switches and pedals that empower the organist to add in special effects, adjust vibrato, control the volume, and employ many other sonic qualities. Finally, there is the pedalboard on the floor for playing bass notes. Containing 25 wooden keys arrayed like a keyboard, it is played by the organist’s feet. It is often joked that the pedalboard has put many bass players out of work! Even though keyboards and synthesizers now dominate the world of music making, nothing sounds quite like a B-3, which among organ fans has taken on an aurora of an iconic symbol of a rich musical past. It’s similar to the way Harley-Davidson disciples wax poetically about their hogs. Altogether, the B-3, pedalboard, bench and Leslie weighs in at 525 pounds. Known as the Beast among organ fans who liken it to “a pipe organ on steroids,” it takes a master to tame the Beast, but in the hands (and feet) of a great player, it can be made to sound like a big band, a dozen horns, a flute, growl and squeal. And of course, it can make you feel like you are in church. It took a while for jazz musicians to embrace the Hammond organ, but several well-known jazzmen began to play it in the 1930s. In the world of jazz organ, there is the Pre-Jimmy era and the Post-Jimmy era. The former was the period before 1955, when “organ jazz” was not that popular … with one exception. Wild Bill Davis, a jazz pianist and organist, began to explore the music possibilities of the B-3. Davis was the bridge and inspiration for James Oscar Smith, a Philadelphian pianist turned organist who burst onto the scene in 1955. Self-taught, Jimmy explored the myriad possibilities of the B-3 and developed a technical command of the instrument and a musical approach that allowed him to combine gospel, blues and bebop and singlehandedly (actually he used both hands and feet) create a jazz genre that inspired generations of musicians that followed, whether they played jazz, blues, R&B, pop or acid jazz. Known as “God” by jazz organists, Miles Davis called Jimmy “the eighth wonder of the world.” Some called his music “soul jazz” and others called it “grits and gravy,” but it didn’t matter what it was called. It had an unmistakable groove and for the next five decades, Jimmy was the master that tamed the Beast. A true innovator, Jimmy received the NEA Jazz Master Award, the highest honor that an American jazz musician can be bestowed. He was a prolific performer, who played with most of the jazz greats of the last half of the 20th century. When he died in 2005, he left behind an extensive catalog of recordings that are musical treasures. Jimmy inspired many players, but one in particular – Joey DeFrancesco, also from Philadelphia – was fortunate enough to meet Jimmy when he was only 7 years old and already playing the organ. Jimmy became a life-long mentor to Joey and in turn, Joey has carried on the great B-3 tradition and imparted a Post-Jimmy era of the B-3. Vail Jazz will present Joey in concert at 6 p.m. on Aug. 24 in the Jazz Tent at Vail Square in Lionshead. Come hear the B-3 in all its glory! Eliane Elias has been living out of a suitcase for nearly 40 years. Starting her career as a teenager in her native São Paulo, the Brazilian singer/pianist has been on a trajectory that’s ranged from steadily to steeply upward. “I work very hard at what I do and I feel blessed when I feel things don’t stay in the same place. They keep getting better,” she says. With 35 albums under her belt, seven Grammy nominations – including a win in 2015 –and nearly constant Billboard chart-topping status (2017’s “Dance of Time” landed at Billboard No. 1 in not one but two categories – Traditional Jazz and World Music), the world tours have basically been nonstop for Elias since she can remember. Luckily, Elias loves her life with a suitcase … at least the performance part of it. Every time she’s on stage, her hands are working in a mile-a-minute blur on the piano, yet the rest of her is always dancing. As her twinkling eyes scan the audience, her expression moves from brow-raised passion during the delivery of an emotional line (sometimes in English, sometimes Portuguese) to an enormous smile. The Brazilian always makes time to chat with audience members when on tour. Upon being asked to share some of the most memorable feedback she’s received, she says she’s been blown away by the tales of joy and romance. She’s heard from fans that have named their babies Eliane. Couples have told her about how her music led them to fall in love, get married, conceive children and patch up struggling relationships. She’s had women tell her she’s been with them for decades, accompanying them like a best friend on every long drive. She’s heard from numerous fans about how her songs speak to them directly. But that’s just the beginning. “About three months ago, I met this man who said he’d had a stroke. He’s in his early 50s – not old – and he was in a coma. He told me his wife was dead and they had teenagers. There was nothing medically that anyone could do. There was a doctor that loved my music and started playing my music for him. Somehow he came back. He was looking at me like I was performing a miracle. He was crying telling me this. Then I ended up crying,” Elias recalls. Another fan opened up to the artist about his chronic depression, for which he’d received all kinds of intensive treatment over many years. He told her he eventually found himself in a state in which it was impossible to feed himself or even to leave his bedroom. Then he began listening to her song, “An Up Dawn.” He took a shower. He went outside. He listened to the song over and over. It literally lifted him out of bed and back into life. Grammy-winning pianist and vocalist Eliane Elias performs “Samba Brazil” at 6 p.m. Aug. 17 at Vail Square with bassist Marc Johnson, guitarist Rubens de La Corte and drummer Tiago Michelin and percussionist Marivaldo Dos Santos. General admission tickets are $25, preferred seats $40 and premium seats $50. Presented by The Jazz Cruise and Blue Note at Sea, Vail Jazz @ Vail Square takes place every Thursday evening through Aug. 24 in the all-weather Jazz Tent in The Arrabelle courtyard in Lionshead. Drinks are available for purchase. In 1917, Ramón Santamaría Rodriquez was born into poverty in a slum in Havana, Cuba. Nicknamed “Mongo” (a tribal chief in Senegal) by his father, he began to play the violin but switched to drums at an early age, settling on the conga drum as his primary instrument. As a teen, Mongo Santamaría (as he was known) dropped out of school hoping to become a professional musician and began a long journey that would take him from the slums of Havana to Mexico City and finally, in 1950, to New York City. Fame, if it happens at all, doesn’t happen overnight. Mongo had to pay his dues. During the 1950s, he played in the bands of Latin jazz luminaries Perez Prado, Tito Puente and Cal Tjader and in 1958 recorded his first album. The next year he wrote “Afro Blue,” a tune that eventually became a jazz standard. By late 1962, Mongo was 45 years old and was regularly fronting his own band. He had developed a unique sound and phrasing on the congas, but Mongo was still a relatively unknown conguero (conga player). But on a fateful night, his regular piano player couldn’t make a gig in the Bronx and instead a young substitute, Herbie Hancock, sat-in and the band played his new composition, “Watermelon Man.” The small audience went ballistic and Mongo sensed he had a potential hit on his hands, which he quickly recorded and the tune became a top 10 pop hit. The success of “Watermelon Man” placed Mongo in the spotlight for the first time, a position he would occupy for the next 30 years. During that period he recorded seven Grammy® nominated albums, won one, traveled the international jazz festival circuit and became an internationally famous conguero. One of the distinguishing components of Afro-Cuban jazz, when compared to its American cousin, is best illustrated by comparing the instruments regularly employed by the percussionists in each genre. In the U.S. there is usually one drummer with a drum kit (drums, cymbals and maybe a wood block, cow bell and tambourine). In Cuban jazz there are multiple percussionists, playing not only a drum kit, but also congas, bongos, timbales, clave, guiro, maracas, shekere and many more. Since rhythm is one of the essential ingredients of jazz, whether American or Afro-Cuban, the difference in instrumentation is significant and can be explained by the fact that the slaves in Cuba were allowed to play their tribal instruments, while slaves in the South were generally denied the right to play drums and the American jazz tradition evolved with less emphasis on percussive elements. So what is a conga drum? Known in Cuba as the tumbadora, it is a tall, narrow, conical barrel shaped drum with an open bottom and a drum head on top. The drum can be traced back to Africa where it was played in religious ceremonies by the ancestors of Cuban slaves. The drum made its way to the U.S. in the 1930s when Cuban dance music first began to be performed in NYC. In fact, the tumbadora is not just one drum, but like so many musical instruments, it comes in many different sizes and therefore different pitches. In the U.S., all of the drums are generically known as “congas,” but among the cognoscenti, each drum has a name. The five most popular sizes (from small to large and therefore higher pitch to lower pitch) are: requinto, quinto, conga, tumba and supertumba. 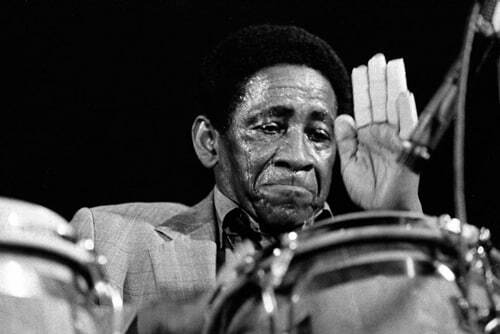 Initially congas were played individually, but today congueros play two or more at the same time, using their fingers and palms (and sometimes their elbows) to create the polyrhythms that are fundamental to Afro-Cuban jazz. 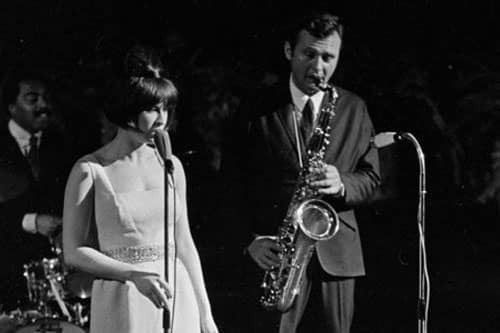 Many jazz greats have gained fame by interpreting the music that came before them in a new and unique way, moving the music in a specific direction. Charlie Parker and Thelonious Monk come to mind. And then there are innovators who fuse distinctively different styles of music into something entirely new. Mongo had one foot firmly placed in the musical soil of Cuba (and therefore the music traditions of West Africa) and the other foot was planted in the music of his adopted home, the U.S. Over the last three decades of his life he fused Afro-Cuban music with American jazz, R&B, rock and soul, creating a “Latin groove” that was the beginning of the “boogaloo” era. Always flavored with the sound of his congas playing Afro-Cuban rhythms, his music was something entirely new , a “Latin-soul” sound that has endured ever since. In the process, Mongo popularized the conga drum to the point where it is now played in many different musical genres throughout the world. He truly was Chief of the Congueros. To celebrate Mongo’s 100th birthday, Vail Jazz joins The Vail Symposium on at 6:30 p.m. on Aug. 9 at the Sonnenalp Hotel to present Professor Michael Davison and members of the internationally famous Afro-Cuban band ¡Cubanismo! In a performance and demonstration of the fundamentals of Afro-Cuban jazz. Click here for tickets. 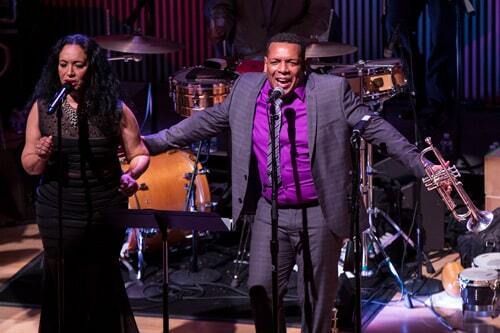 At 6 p.m. on Aug. 10, Vail Jazz presents the entire 11-piece power of ¡Cubanismo! in concert in the Jazz Tent at Vail Square in Lionshead. Click here for tickets. Lastly, as part of the Labor Day Weekend Jazz Party, Vail Jazz presents the Tommy Igoe Sextet’s Tribute to Mongo and More on Sept. 4. Click here for tickets. Revered by many as the most popular entertainer in history, Frank Sinatra kicked off his career as a big band singer in the 1930s with the Tommy Dorsey and Harry James bands. His hypnotizing voice first won its way into the world’s hearts crooning classics like “New York, New York” and “I’ve Got You Under my Skin.” His unmistakable, swinging vocal style has become gospel for these hits. Sinatra was quickly appointed a master of song, or, among other nicknames, “Chairman of the Board,” going solo in 1942 and breaking ground for a steady, nonstop string of solo artists that continues today. Stigers’ goal in the upcoming Vail performance is not to overtly imitate Sinatra, but to pay homage to The Chairman’s talent with his own flare. More than etching his one-of-a-kind sound and style into the world, Sinatra’s incomparable ability to continuously rise to the top – over a career that spanned a whopping six decades – resonates with other artists. Curtis Stigers and the 17-piece Denver-based jazz orchestra H2 Big Band perform a special tribute to Frank Sinatra at 8 p.m. Aug. 11 at The Ritz Carlton Ballroom in Bachelor Gulch. General Admission tickets are $60. Reserved premium tables (seating eight) are available for $800 and include a pre-show champagne toast with Curtis Stigers at 5 p.m. Doors open at 7:30 and the performances begins at 8 p.m.
Has it been that kind of week … the kind whose ending you feel could only be appropriately celebrated with the seismic symbol crashing and sprightly horn blowing of a major big band? 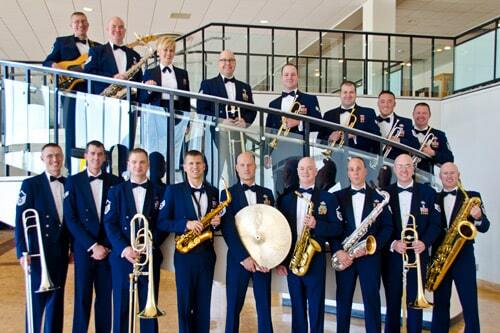 Well you’re in luck, because Vail Jazz @ Riverwalk presents an extra special free performance this Friday by none other than the U.S. Air Force Academy Falconaires Big Band. The Falconaires consider jazz to be “America’s only indigenous musical genre” and will fire off one after another of favorite arrangements from the American Swing Era as they deliver their unique take on numerous contemporary tunes. If you can’t wait to kiss goodbye to a tough week, you might as well do it with a 14-piece horn section and amid the bustling company of friends, neighbors and visitors splitting their time between eating, drinking, picnicking and dancing at the Riverwalk Backyard Amphitheater. The powerful force of The Falconaires marks the second to last Vail Jazz @ Riverwalk performance of the summer. The series delivers free live music every other Friday along with local food and drink vendors, including paella from Revolution, paninis and salads from Eat! Drink! and cocktails from 10th Mountain Whiskey. Following this Friday’s performance, the final Vail Jazz @ Riverwalk concert of 2017 will be a grand finale indeed starring 12-piece Latin and Salsa band, Quemando. In addition to food and drink vendors, Alpine Arts Center offers unique arts and crafts projects for children throughout the evening. Vendors open at 5 p.m. and music begins at 6 p.m. Picnics are welcome but no pets are allowed. The event is non-smoking. Vail Jazz @ Riverwalk is presented by Alpine Bank and Kaiser Permanente. In the digital world we inhabit, our ability to hear songs that we love is so effortless that we forget that it wasn’t always this easy. The other night I was in the mood to hear some Billie Holiday so I simply told Alexa to play “God Bless the Child” and voila, instantaneously I was hearing one of the greatest jazz recordings of all time. WHAT A TREAT! The jukebox in the sky. Before sound recording, if you wanted to hear a chosen tune, you either sung it yourself or had to be in the presence of someone who would sing it for you. So the default setting for most was to try to sing it themselves. Singing by humans is a natural instinct found in all cultures and in all corners of the world; however, there is no universal way to sing and idealized sounds that are produced by the human voice vary greatly from culture to culture. Since each culture reaches its own consensus on what stylistically a singer should sound like, over time cultural stereotypes develop and singers emerge that emulate and reinforce it. If you have ever heard a Tuvan throat-singer you know what I mean. Tuva is a Russian republic near Mongolia where singers use a circular breathing technique that allows them to produce two or more notes at the same time. In the U.S. on the other hand, we expect a singer to sing one note at a time with the ability to control the pitch of the singer’s voice, while possessing a pleasing tone/timbre and an extended vocal range with an ease of maneuverability throughout. Think of a singer’s voice like a musical instrument that can be precisely played. 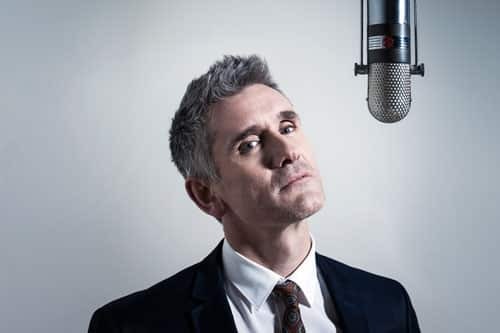 Many singers have developed remarkable vocal instruments with jaw-dropping technical prowess. But I submit that a great voice and technique are only part of the package. In jazz to be a truly great vocalist, you also need to have special gifts. It starts with song selection. Let’s face it, some songs are better than others. Choosing your material wisely is therefore mandatory. You must be able to interpret the lyrics of a song and be a great storyteller, a musical communicator. Intentionally leaving space between notes and phrases to add emphasis to the lyrics, varying the rhythm to create suspense, and where appropriate, “scatting” a chorus (singing nonsense syllables which are improvised in order to imitate an instrument) to add drama to the performance are all part of the storytelling. In fact, the ability to communicate to the audience, to sell the lyrics of a song, to make them relevant and your own, is what “closes the deal” and allows certain singers to rise above the crowd. In some cases a vocalist that is a great storyteller can even overcome technical vocal shortcomings and still rise to the top. 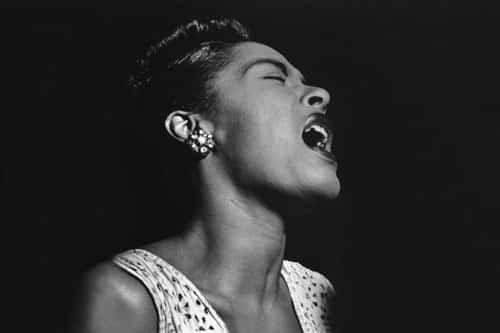 Take for instance, Billie Holiday. Born Eleanore Fagan, she was one of the greatest jazz singers to ever perform. Her voice had limited range and was thin, fragile and raspy, but what she did possess was an incredible ability to communicate with her audience and she had the uncanny ability to pick the right songs to perform. Billie’s greatness was based upon her storytelling ability and whether the material was sad (most of her songs) or happy, Billie could invariably elicit a physical reaction in her listeners. When Billie performed sad songs, she communicated the song’s story in an honest, deeply felt emotional manner that was raw and exposed her vulnerabilities. When she sang happy songs, she sang with an exuberance and passion that filled the listener with joy. The results were always the same. When Billie sang, the audience responded. When you hear Billie sing these lyrics for the first time, you don’t need to know the above story to feel Billie’s pain, anger, sense of betrayal and helplessness. That is what a good storyteller can do. At 6:30 p.m. and 9 p.m. on Aug. 2 at the Sonnenalp Hotel and at 6 p.m. on Aug. 3 in the Jazz Tent at Vail Square in Lionshead next to the Arrabelle Hotel, Vail Jazz will present René Marie, one the finest jazz vocalists performing today, in her show “Experiment in Truth.” A remarkable storyteller, René has received two Grammy® nominations for her unique blend of jazz, R&B and blues as she tells musical stories you’ll want to hear. “They had scraped the bottom of the barrel looking for someone who could come in right away. I had no problem with being at the bottom of the barrel,” Marie says. The vocalist did not stay at the bottom for long. 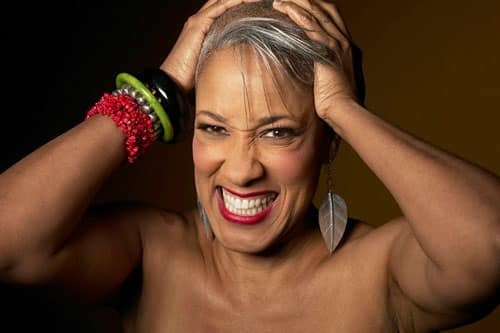 She was placed in the title role of the theater’s world premiere of “Ella and Her Fella, Frank,” and signed onto the MaxJazz label, producing her first CD, Renaissance, in 1999. As her musical career began to skyrocket, however, she encountered push back from her first husband (now referred to as “was-been”). It was push back of the vocal, emotional and physical variety. She filed for divorce.